A performer shows three different colored cups and three matching solid colored cards.The magician places the cards in an envelope in a specific order and a spectator freely stacks the cups in any order. When the performer reveals his cards in the envelope they match the spectator's order! This is not the same every time! First surprise. 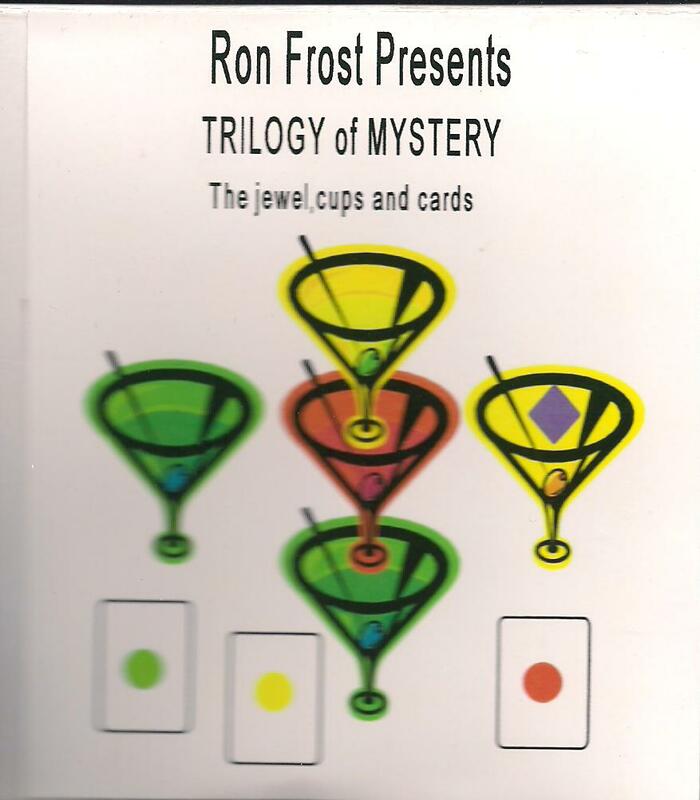 To add to the mystery, three large playing cards are placed face up on a table and a person places each cup over a card. When each cup is turned over, there is a miniature card under each base which matches the card the cup was placed on. The mystery continues. Finally, the magician secretly places a jewel inside one of the cups and the cups are covered with one of the cards; a person freely names any color cup and when the card is removed, the jewel is in that cup. The basis of this effect is Ron's "Benny the Baffled Bartender." All three effects don't need to be performed at once. Nice props and very easy to do!